67014 "Thomas Telford" comes off the branch from Aylesbury at Princes Risborough whilst working 5H45, the 14:48 from Aylesbury depot to Marylebone, though quite why it had been to Aylesbury I don't know... 15:07, Thursday 28th July 2011. Digital Image No. GMPI9840. 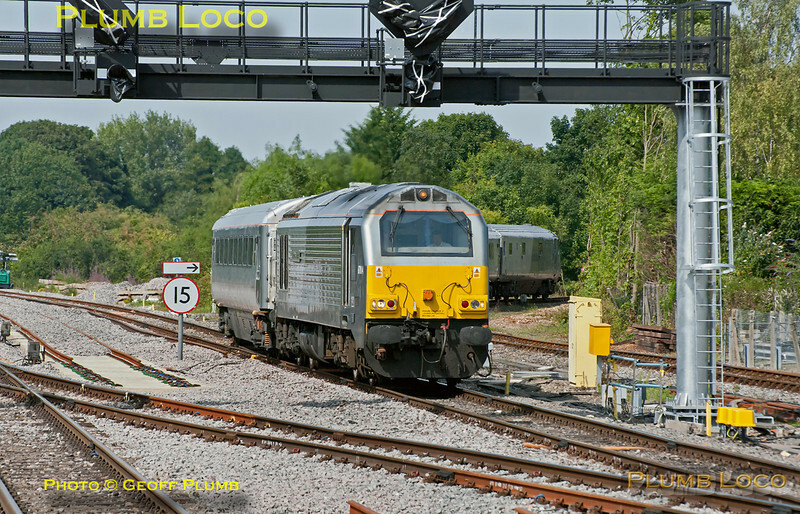 I have since heard that the loco failed on 1H06 in the Brill area earlier in the day, and whatever the problem was, it was duly sorted out at Aylesbury.